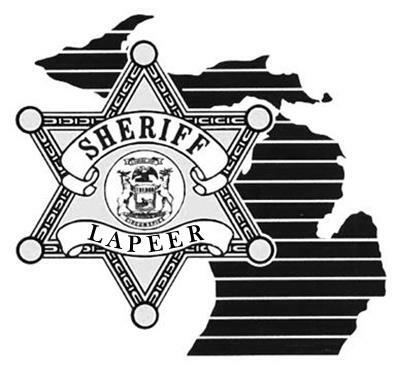 On Sunday 09-14-2014 at 8:29 PM, Lapeer County Sheriff’s Deputies responded to an injury traffic crash on West Lake Road between Marathon and German Road in Columbiaville (Oregon Township). CHAD URBONOVIC age 33 from Lapeer was traveling westbound operating a Polaris 500 Four Wheeler. URBONOVIC crested a hill and entered a curved section of roadway. URBONOVIC failed to navigate the curved roadway and the Polaris subsequently rolled side to side. The Polaris came to rest on its right side within the roadway. URBONOVIC was not wearing a helmet. West Lake Road is a permitted roadway for off road vehicle use (Lapeer County Board of Commissioners Ordinance dated 05-06-2014). URBONOVIC was transported to McLaren- Lapeer and listed in serious condition. The roadway was closed for around two hours for rescue and investigative purposes. Preliminary investigation suggests that alcohol is a contributing factor. The crash remains under investigation by the Lapeer County Sheriff’s Office. Anyone with information is requested to contact Detective Sgt. Jason Parks at 810-245-1381 or jparks@lapeercounty.org.